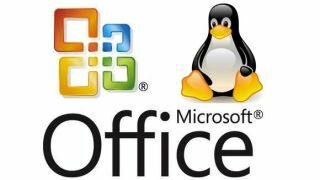 Could 2014 hold Microsoft Office support for Linux? Will 2013 be the year of Linux? Maybe not, but then 2014 could certainly pick up that scepter instead. A rumor appeared earlier this week that Microsoft is developing its first ever native Linux program, a Microsoft Office port that could be ready by 2014. Office for Android is already in development, and since Android is a Linux-based OS, it will be that much easier to get Office onto Ubuntu or another Linux distribution. The report came by way of Phoronix, which was tipped off by an unnamed source at the Free Open-Source Developers' European Meeting (FOSDEM) in Brussels over the weekend. If true, it would mark the first time that Microsoft deigned to develop anything for Linux, besides its Hyper-V virtualization for enterprise. Microsoft has so far mostly ignored Linux, but the open source operating system has been on the rise recently. As of last summer, Linux still held a distant third place to OS X and Windows, with 5 percent of total PC users. OS X then held 8.7 percent, and Windows had the rest. Those numbers can't have changed too much in the past several months, but nevertheless Linux's future is looking brighter, thanks in large part to the ongoing rise of Linux gaming. That movement is being led by Valve, which began beta testing a Linux version of Steam, its popular PC gaming platform, in November. Phoronix speculated that Microsoft could also be looking at the increasing numbers of governments and businesses switching to Linux as a good reason to get Office onto the platform ASAP. TechRadar asked Microsoft if the company had anything to say on the matter, but a spokesperson responded simply to remind us that Microsoft does not comment on rumors. For more on Linux, check out TechRadar's history of Linux, beginner's guide to the OS, best alternative Linux desktops, and our guide on turning your Linux PC into a gaming powerhouse. It makes for excellent reading.